When Elizabeth died, I was as well prepared as I could be. She had been at home, my home, in hospice care for almost two months, and I was able to be with her that entire time, letting go of almost everything else for that time. It was heartbreakingly sad and breathtakingly beautiful – the grace and love of Elizabeth’s Presence was immense. She was in a state of egolessness. She no longer cared how she looked, she had no anger, almost no fear or sadness – none by the end, and she was radiant in love. We knew she was dying, and we had time to prepare ourselves emotionally, and also in practical ways. 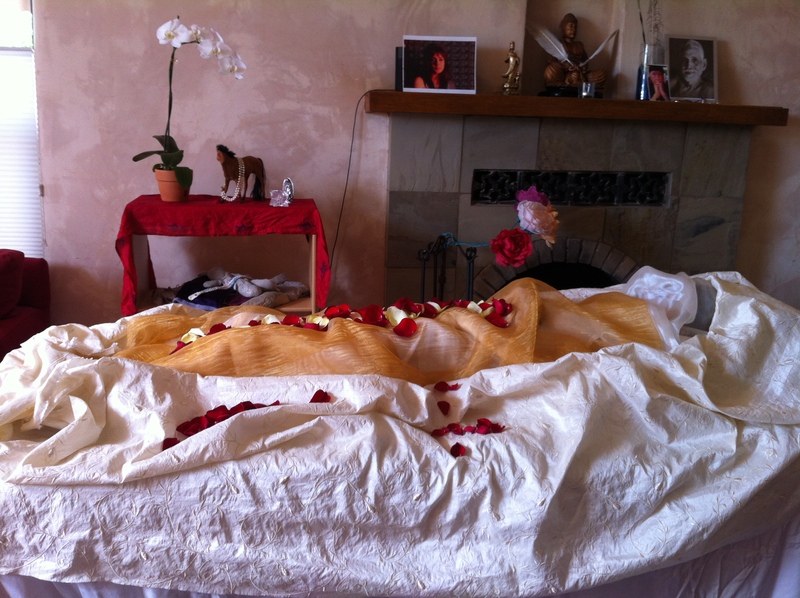 We are blessed that our close friend Victoria, Elizabeth’s godmother, had recently taken a training in home funerals, and found an amazing woman here who also supports families in taking care of the bodies of their loved ones. I hadn’t known this was an option before, and am so grateful that we didn’t have to send her body off to be tended to by strangers. Kristine Bentz, of Sweetgrass Ceremonies met with us – Elizabeth, me, and our close family, a few times, to let us know what our options were and listen to our hearts. I almost forgot to include some of the practical details, as I was spared from dealing with the outside world right away. Kristine helped to guide Elizabeth’s father through the process of becoming the “funeral director” which involved filing some paperwork at City Hall, which allowed us to then transport her body ourselves for cremation. 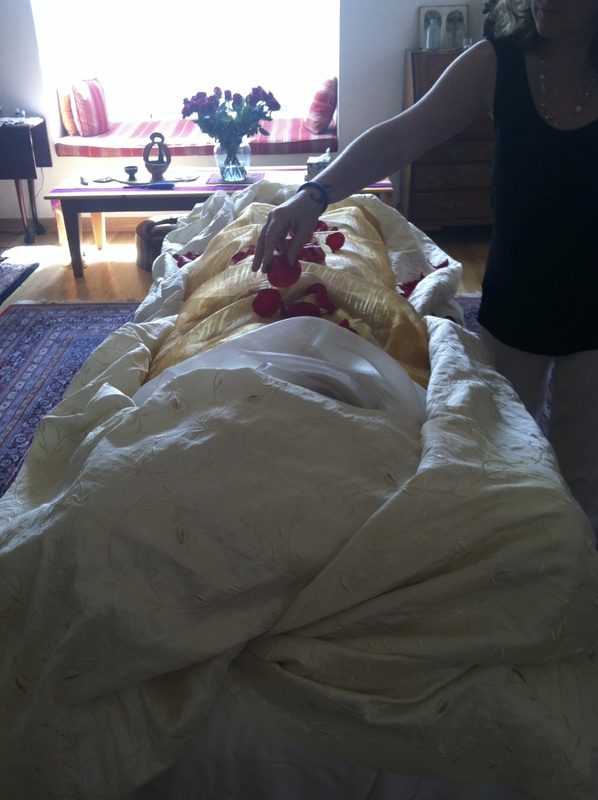 We could have had them come to transport her body, but it just felt right to us to do the whole process ourselves. Yesterday was very difficult, and beautiful. We gathered with close family and said our last goodbyes to Elizabeth’s body at home, placing her body into the casket, which had been decorated by friends and family, and putting her baby blanket (Silky) and some flowers in with her, to help her make the transition. We transported her body and were able to support each other and witness the box being placed in the crematory. I didn’t know if I’d want or be able to witness this, but I am grateful that I could be present, in the way that seeing a burial might also bring some sense of completion. We had a lovely open house the day before, with many friends coming by with flowers, love, tears, laughter and stories. It was good to be with others who love Elizabeth. Thank you so much to those of you who were able to be here. We have confirmed the date and location for Elizabeth’s Celebration of Life/Memorial Service. It will not be a religious ceremony, but one that represents Elizabeth’s diverse and deep spiritual beliefs and an opportunity to gather, celebrate her life, tell stories, share images, music, ritual, and more. 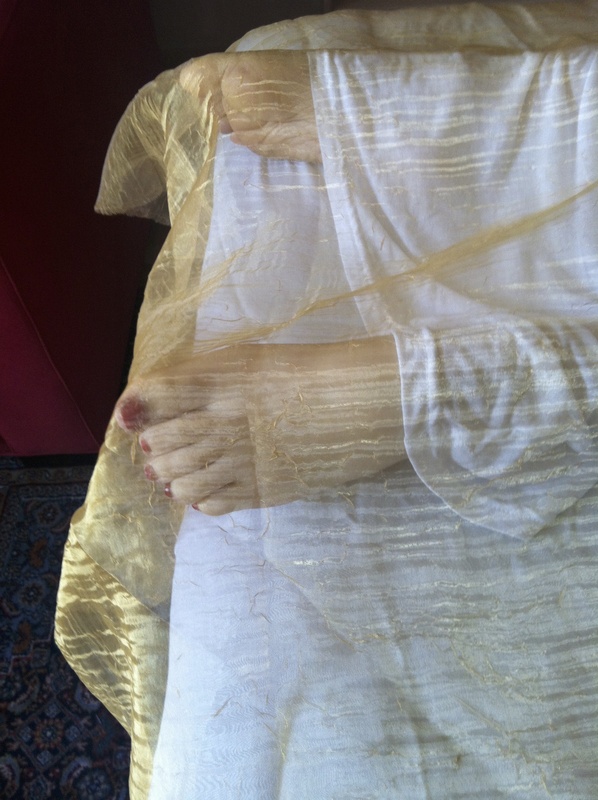 This entry was posted in All Posts, Lucia Maya's Email Journey, Lucia Maya's Updates and tagged cancer, celebration of life, children with cancer, cremation, death, Elizabeth Blue, Family, funeral, grief, home funeral, hospice, loss, love by Lucia Maya. Bookmark the permalink. What a beautiful and inspiring story. A true celebration of love and life! You are my hope. I know you’re many things that I don’t know about, but your spirit is grounded and I’m so very touched by it. Thank you. I wish it weren’t like this, and, we keep on going and making the best of it…. I’ve has a good couple weeks, but can feel a shift coming, hoping it’s not too far down! Thank you for sharing this, Lucia. It was beautiful to read and to feel your heart. I hope you can feel mine right now….. Thank you, I’m so glad you read it. A former colleague’s husband passed away about a year ago as well and his wish was for friends and family to decorate his casket. It is such a beautiful idea. It was lovely, though I was focused elsewhere. It was a beautiful way for friends to pay tribute to her.